In 1945 the war in Europe ended but there was the Japanese War to finish. Fortunately, the Atom Bomb finished that War despite the victims and also saved many further Military lives – 55,000 Bomber Aircrew had been lost (50% Attrition). On the Tuesday, I was posted to No.44 (Rhodesia) Squadron at Royal Air Force Wyton in Huntingdonshire. On Wednesday, I was once again in the Air Flying as the Flight Engineer to Flight Lieutenant Jack Wheeler in Lincoln No. RF458. By the end of February, there were over 6 hours of Flying in both Lancaster & Lincoln’s. Now back where I belonged there began the happiest 2 years of my RAF Service. The high standards of Peacetime Service were now observed. The Squadron routines and with a comfortable room & pleasant facilities in the Officers Mess life was very enjoyable. The comradeship of colleagues was again being enjoyed. During Wartime Aircrew just flew Aircraft but now in Peacetime Aircrew and Officers had other Duties to perform. I found myself as Squadron Adjutant as well as the Flight Engineer to the Squadron Commander. At one time I was required to attend an Intelligence & Photographic Interpretation Course and was then required to do Raid Reporting during Exercises as well. The months of 1947 passed with plenty of flying, it was different and relaxed after the hectic & dangerous Wartime Operations. On the 12th November, there was a pleasant flight out to Egypt to deliver spare parts to some of the Squadron’s Aircraft. They were on detachment to RAF Shallufa in the Canal Zone. The Pilot was Flt Lt Cumber and the Aircraft Lancaster No.TW909, this being my 1st Flight with a landing outside England in a Foreign Country. The 1st part of the Flight was to RAF Lyneham in Wiltshire for Customs clearance. At 23.05hrs, we took off to fly by Night to RAF Castel Benito in Tripolitania on the North Coast of Africa. Prior to WW2 Castel Benito had been an Italian Airfield and during the War the German Luftwaffe had used it. Later the Airfield was renamed Castel Idris and in years after it became the International Airport for Tripoli. The next day it was a 5hr flight along the North African coast to Shallufa in Egypt passing over the great Battle Areas of Sollum, El Alamein and ‘Knightsbridge‘. On this Flight, I flew the Aircraft for 2 hours. RAF Shallufa was beside the Suez Canal and it was quite a sight to see large Ships appearing to be travelling across the Sand and to experience an RAF Airfield in a hot Desert. After 3 days, we took off for the return flight to the UK via Castel Benito making a detour to fly over the Pyramids and the Sphinx. On the 20th November, we arrived back at Wyton after a total flying time of 25.40hrs. On the 1st March 1948, the Squadron flew out to RAF Shallufa in Egypt for a month’s stay on exercises. I flew as the Flight Engineer to Flt Lt Bristow in Lincoln No. RF426. On the 24th March with Flt Lt West in Lincoln RF514, we flew to Khartoum in the Sudan for an overnight stay returning to Shallufa the next day. This round trip took 11.20hrs. On the 31st March, the whole Squadron return to Wyton via an overnight stop at Castel Benito, Tripoli. In May 1948, the whole Squadron was engaged in preparations for Operation “Chessboard”. This was to be a Goodwill Visit to Southern Rhodesia (now Zimbabwe) at the invitation of the Government. It was in recognition by the RAF to the people of Southern Rhodesia for the Rhodesians, who had served, and those who had been lost, with the RAF during the War. On the 9th June 1948 before the Squadron of 6 Aircraft took off on the 1st Leg of the Flight to Southern Rhodesia with an 8hr 45min flight to Castel Benito in North Africa. I was flying as Engineer to Flying Officer Barnes in the Lead Aircraft KM-L No, RF417. On the following day, the Squadron flew on to RAF Shallufa in the Canal Zone of Egypt for a 3-day rest and for Servicing of the Aircraft. This Flight took 6½ hours. The journey continued from Shallufa on the 14th flying along the Nile Valley to Khartoum in Sudan for an overnight stop. From Khartoum, it was on to Nairobi in Kenya the next day for another overnight stop. On the 16th it was on to the Belvedere Airport at Salisbury, Southern Rhodesia. The original Civil Airport for Salisbury and opened in the 1930’s. Used by the Southern Rhodesia Air Unit from November 1935. No.25 EFTS was opened here on 24 May 1940, as part of the RATG. After WW2 it was converted to Civil use. Located on the other side of the City from Cranborne, it closed about 1956 when the new Salisbury Airport opened. The Site has been completely built over as a Residential Area. The outward flight took 38hrs 25mins. This was to be the base for the Squadrons stay in the Country. The Aircraft arrived over Belvedere in Formation and after landing the Personnel paraded for a Reception by the Prime Minister Sir Godfrey Huggins. In the evening the Officers and Airmen attended a Government dinner. There was now a 2-day rest for the Squadron. On the 18th Barney and I with the rest of our Crew took off to take Mosaic Photographs of the area of Salisbury for the local Authority. We think it was for a proposed Building of a Dam on Lake Kariba. It was a Flight of over 5 hours. On the 19th & 20th the Squadron did Formation Flying over Rhodesia to be seen. On the 2nd of the Flights we had on board a Passenger Mr Catsicas the Mayor of Umtali a Town in the NE of the Country. The Squadron now had a 2 day Stand Down. The Squadron Personnel were split up into groups of 6 to be the guests of Prominent Rhodesians. Barney and I with 2 of our Aircrew and of the 2 of our Ground Staff were to be the guests of the Mayor of Umtali. This involved a long Overnight Sleeper journey in a rather antiquated Colonial Train to Umtali there and back. This was an experience. Barney and I were the guests of the Mayor and we were rather surprised with the low standard of the Accommodation. However, this did not detract from the entertainment of Sun-downer Parties of good food and drink in comparison to conditions at home. There were visits to the Vumba Mountains and an upmarket Hotel the Leopards Rock. We were also taken to Gold Mine and an Orange Orchard. What lovely orange juice it was. On the 26th June, the Squadron flew from Belvedere to Kamala Airport, Bulawayo flying over the Victoria Falls on the way. Here was another Sun-downer Party and an overnight stay as guests of the locals. Barney & I stayed with a Lady Doctor. We returned to Salisbury on the 28th. On the 29th we took off to return home via the way we had flown out. We arrived back at RAF Wyton on the 5th July having flown for over 80 hours on a Goodwill Trip. What an experience. On the way home, we flew low over the African Veldt. On return to Wyton the Squadron, Members went on leave. There was a break in flying until August. I then flew regularly as the Flight Engineer to the Squadron CO and served as his Adjutant until the end of the year. On the 29th October 1948 came an appointment to a Permanent Commission in the Secretarial Branch. I was now a Flying Officer. The need for Flight Engineers was ending with the introduction of the new Jet Aircraft and so, after nearly 1,000 hours of flying my General Duties Flying Career was ending. It was 2 very happy years on 44 Squadron. In January 1949 I was posted to HQ No.3 Group Bomber Command for Intelligence Duties but after 3 months I was moved on to HQ Bomber Command at High Wycombe for further Intelligence Duties. The Post was for a Junior in the Intelligence Section of 4-Officers. A few years before my Wartime flying destiny had been under the Command of Air Chief Marshall Sir Arthur Harris (Bomber Harris). My feelings when working in the underground Operations Room from where my Wartime Flying Operations had been ordered & controlled cannot be described. My new Commander in Chief was Air Chief Marshall Sir Hugh P Lloyd. One day in the Officers Mess there was the pleasure of meeting & talking to Marshall of the Royal Air Force Sir Hugh Trenchard the Father of the RAF. The Posting to High Wycombe was made even more enjoyable by being able to participate at weekends in the ATC gliding at Booker Airfield. In December 1949, the Air Officer in charge of Administration detailed me to represent Bomber Command at a meeting in the Air Ministry. The subject was the formation of the Royal Air Force Gliding & Soaring Association. Members left the meeting charged with Organising & Encouraging Gliding in their respective Commands. Throughout my Service, Gliding & Soaring became a great passion which I have recorded separately. The Duties, Mess Life and atmosphere at Headquarters Bomber Command continued to be very pleasant. The Duties at HQ Bomber Command ended in early 1951, for as a Secretarial Officer I was required to do Accounting Duties so it was necessary to attend an Accounting Course. After the Course, I was a posting to No.9 School of Recruit Training at RAF Bridgnorth in Shropshire to be an Accountant Officer. This involved collecting cash from the local Bank, the Payment of Bills, the Accounting for the Cash Transactions and the conducting of Pay Parades for the Airman. In July 1952 came promotion to the Rank of Flight Lieutenant. My next unit was at RAF Padgate near Warrington in Lancashire. It was another Recruit Training School. This urban area was a contrast to the lovely Shropshire Countryside of Bridgnorth. Accounting Duties continued at RAF Padgate and time passed until April 1953 when I was posted out to Air HQ Iraq for Duties as the Accountant Officer on an RAF Staging Post located on the Pakistan Air Force Base at Mauripur near to Karachi. 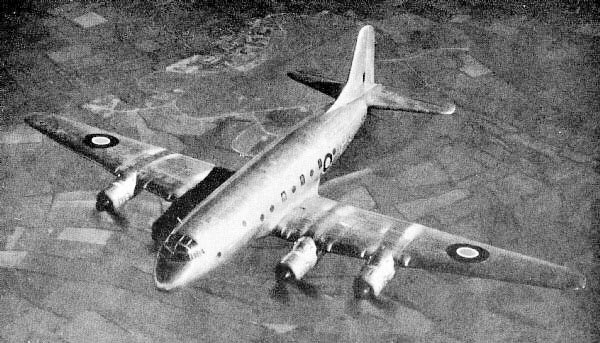 On the 9th April 1954 came a Flight by Hastings Aircraft of RAF Transport Command from RAF Lyneham in Wiltshire to RAF Station Habbanyia. The Unit was situated between the Rivers Euphrates & Tigris near Baghdad in Iraq and was the HQ for all of the RAF Stations in the Near East There was an overnight stop at RAF Castel Benito now named, Castel Idris. It brought back happy memories of flying with No.44 (Rhodesia) Squadron. The Air HQ Habbanyia & Transit Mess near Bagdad on the 10th April 1953 I waited 3 days at Habbanyia for onward Transport. I remember seeing the clear starlit nights and hearing the loud croaking of frogs on the 2 Rivers Tigris and Euphrates. I thought of all those RAF personnel who had served here in earlier days RAF Mauripur was a staging post for aircraft flying the long route to the Far East. At this time in 1954, Air Transport was relatively slow and was before the introduction of Jet-powered Transport Aircraft into the RAF. The Unit was on a Pakistan Air Force Station near to the Capital of Karachi. All Services received from the Pakistanis had to be accounted for and this was to be a large part of my work. In addition, I had to Pay and Account for the 12 Officers and 300 Airmen of the Unit and that RAF Personnel seconded to the Pakistan Air Force. There were also the Services Staffs at the High Commission in Karachi to look after which included the Air Attaché, Group Captain Sands who had been my Senior Intelligence Officer at HQ Bomber Command in 1949. Mauripur was on a flat, barren, desert plain with the hills of Baluchistan away in the distance to the Northwest. The Station, together with Drigh Road at the other side of Karachi, had been RAF during the days of the Indian Raj before the independence and partition of that great country in 1947 with its great loss of life and the making of 2 States. The effects of that period were still very evident in the Refugee Camps around Karachi where the people lived in appalling filth and squalor. The small RAF unit was the only British one left on the whole of the Sub-Continent of India; this became very evident when I had to account for all of the petrol use by the British from 1947 to 1954. After protracted negotiations with the Pakistan Air Force Ministry, which fortunately was based at Mauripur, the time came for the Bill of around 10M Rupees to be paid; this was the equivalent of about £1M. In 1954, at today’s values, this would be about £15-20M. This would be the largest cheque that I would ever sign but finally the Pakistanis wanted the credit in £’s in London for International Trade so the Bill was passed on to the Air Ministry. The special nature of the Unit required me to deal direct with the Air Ministry and not through Air HQ Levant at Habbanyia, North of Baghdad. I received great credit for my work at Mauripur. Mauripur was a 2-year posting and difficult to bear especially when bouts of dysentery confined one to the Sick Quarters. The climate was always hot and humid and the khaki uniform of shorts required daily ‘dhobi’ (washing) by the Bearer (Batman) – these were the Servants employed to do the domestic chores. Because of the hot, humid climate, Duty was from 7am to 1pm for those Personnel who were not required to meet and Service incoming and outgoing Aircraft. Afternoon siestas were needed There was always a daily coach to Hawks Bay on the Arabian seashore about 3 miles away for swimming and this was a favourite facility. There was one highlight. At the Pakistan Air Force Station of Drigh Road was a Gliding School for Training Cadets and a Squadron Leader Jan Mikulski Commanded this. Jan had been in the RAF during the War flying Fighter aircraft. He came from a high-class 24 24 Polish family. He and his wife Mary had been pre-war Gliding Champions. Jan escaped to England but his wife Tula (Mary) and their daughter became Prisoners of the Russians. The daughter died in a Russian Camp. After the war, Jan who was stateless enlisted into the PAF for the Gliding Post and Mary was able to join him. They became great friends and were charming hosts. This friendship led to me being able to fly the PAF Gliders. A total of 35 hours were flown over and around Drigh Road and Karachi in circumstances quite different from those in England. It was not wise to fly away from this area for any landing would be in remote and inaccessible Countryside. Thermals over Drigh Road were usually twirling ‘Dust Devils’ they were very rough and restricted in height by the cooler sea breezes drifting in above the hot air over the land. When soaring, Kite Hawks, Buzzards and Vultures would take advantage of the thermal uplift and surround the Sailplane. Sailplane. If, when flying and searching for lift the Sailplane Pilot saw circling birds he flew in to join them. At over 7000ft, I circled with the Birds of Prey. This was a fascinating experience. It was certainly fascinating to fly with them and watch their flight feathers and manoeuvres although to see an ugly Vulture peering into the Cockpit from just above could be unnerving. There was another pleasure at Mauripur. The Administration Officer was a Service Pilot who was required at the time to keep in flying practice and so to do this a PAF Harvard 2-seater-Training Aircraft was used. I went with him and had great fun flying a powered Aircraft. All went well until the PAF started to send in Bills for its use. The HQ Levant stopped the flying. Looking back on the 2-year stay at Mauripur it was a great adventure. In August 1954, during the Tour at Mauripur, there was a detachment back into Iraq to take over the Accounting at RAF Shaibar in the desert. Shaibar was near to the Town of Basra on the Shatt el Arab the River mouth of the Tigris and Euphrates, which led into the Gulf of Aden. The detachment was for 6 weeks to relieve the Accountant there who was going home to England to get married. Shaibah had a bad reputation in the RAF as one of the worst overseas Posting. Many are the songs ‘Shaibah Blues’ sung in the home Messes, especially by old sweats who had served there in the inter-War years. I contracted some uncomfortable infections whilst there. I think it was from the swimming pool. This required me to do my work in the more comfortable air-conditioned Officers Mess. It was a relief to return to Mauripur. April 1956 came and it was the time to hand over to my relief although the staging post was to close in the following December. Longer-range Aircraft were now coming into service that could now overfly the Area. It took a week to fly home to England because of having to wait for available seats on the various Aircraft flying between the homeward Staging Posts. Two days were spent at Habbanyia and 2 days at Nicosia in Cyprus. I was now required to study at RAF Bircham Newton in Norfolk on a Course of Administration after which I was posted to RAF Jurby on the Isle of Man to Train Officer Cadets. Jurby held many memories; the stay there ended with promotion to the Senior Rank of Squadron Leader on 1st April 1958. The next posting was to RAF Wellesbourne Mountford near Stratford upon Avon, which was the base for the RAF Airfield Construction Branch. The detailed was to Command Squadron of Administrative personnel to accompany an Airfield Construction Squadron on a Task Force to construct a Rocket Tracking Station on the Island of St.Kilda. The island was in the Atlantic, 40 miles West of the Outer Hebrides. I received a quite unusual briefing from the Airfield Construction Group Commander. A Wing Commander of the Airfield Construction Branch was to be in charge of the Task Force and the Building Project; he was an Irishman of the Building fraternity of uncertain temperament with little regard for RAF Rules and Officer Conduct. This would require great tact in dealing with him to keep to the normal rules of discipline, administration and accounting. The Commander in Chief said that the Wing Commander was the only Officer he had to do the Building job and wished me the best of luck. This information was confidential, The passage to St Kilda involved a long train journey to Cairn Ryan on the shores of Loch Ryan near to Stranraer in Scotland. Cairn Ryan was the Mainland Depot for the stores and personnel to be shipped to the Island by Tank Landing Craft of the Army; it was also the base for Radio Contact for administrative and emergency purposes. The 24 hour sea crossing took place during a most unpleasant and ill making storm. Landing Craft were the only Ships that could transport the heavy vehicles, stores and building materials and are able to beach and unload on the only small sandy Cove. The rest of the Islands shoreline rose shear out of the water to heights of up to 500 ft above sea level. The Island was about 2 miles long and ½ a mile wide and very rugged. A hardy Scottish people had inhabited it up to 1930 until they became so impoverished they had to be evacuated to the Mainland. The Island was now a sanctuary for many types of Seabirds and a few Soya sheep and was overseen by the Scottish National Trust. The few stone houses that had formed a line near the seashore were now roofless and in collapsed piles although the more substantial Factor‘s house and the Manse had been rehabilitated to house the Officers and provided a Recreation area for the Airmen. The Airmen lived under Canvas and the messing was in a Nissen Hut erected for the purpose. At one stage, the Wing Commander of the Airfield Construction Branch was required to return to Wellesbourne Mountford and I remained in sole Command. During this time a party from the Scottish National Trust led by Lord Wemyss, came to visit the Island to see the flora and fauna. The Ship anchored in the bay and the party was ferried ashore by a specially reinforced boat that could land on the very small and rocky slipway. The RAF personnel entertained the Visitors within their very limited facilities and escorted them around the Island. Afterwards the Officers went aboard Ship and dined with the Captain and the leaders of the Party. The Ship then sailed round the Island for the Visitors to see the many Seabirds that inhabited the Cliff Faces and the Gannet colonies on the offshore Stacks. This was a welcome break for the 4 Officers. The construction of the Tracking Station continued throughout the summer months. The Office was a mobile Caravan and from there I was able to keep in Radio Contact with Cairn Ryan on the Mainland. Finally, the summer ended and it was time to withdraw before bad weather prevented the Landing Craft from getting to the Island. Everyone was glad to be going back to Wellesbourne for leave and to see his or her families. A small unenviable Maintenance Party came out to look after the installation during the Winter months. At Wellesbourne, I completed the work necessary to close down the Operation and then had some leave. I had been out of England for 5 years and now it was to RAF Uxbridge to be the Senior Accountant Officer. Entering the Gates and passing the Parade Ground my thoughts were of those far-off days in 1940 when 1st reporting for Duty on joining the Service. I had come a long way since then and had advanced to a remarkable degree never thought possible when lying down to sleep on that 1st night in the Barracks beside the Square. Now I was to be the Senior Officer responsible for all the Financial Affairs of the Station. I was now able to resume my Gliding activities with the Chilterns Gliding Club at RAF Booker which was not very far away. In the evenings, using an available building on the Station, I was able to carry out repairs to the Club Gliders, work that gave me great pleasure since my early days in the RAF as a Mechanic, Fitter and Engineer. Life was quite full and rewarding at Uxbridge. A Royal Duty occurred at one stage acting as an Usher in the Central Nave of St Pauls Cathedral when Her Majesty attended the dedication of a Memorial to the Americans who served and died in World War II. One of the Units at RAF Uxbridge was the RAF Regiment whose duties, amongst others, were ceremonial and it was the Custodian of the Queens Colour for the Royal Air Force. The Borough Council of Uxbridge granted the Freedom of the Town to the Royal Air Force Station, which entitled the Unit to march through the Town with drawn Swords, Bayonets fixed and Colours flying. The Station Personnel had been practising for the ceremony for some time and the Parade was to be under the Command of the RAF Regiment CO. A week before the Ceremony the Officer became ill and was in Hospital. The Station Commander detailed me to Command the Parade. This was a great Honour to Troop the Queens Colour on that hallowed Parade Ground. Throughout the Ceremony, my thoughts were back in 1940 when walking out of the Station in uniform for the 1st time as an Aircraftman 2nd Class to go to the Cinema. After the Parade attended by Members of the Air Council the Contingent then marched through the streets of Uxbridge with Bands playing, Colours flying, Swords drawn and Bayonets fixed. At this time I was remembering the day 18 years ago when marching the same route as a new Recruit with a heavy kit bag on the way to the Railway Station to go to Morecambe for Airframe Mechanic Training. After the Parade, there was a Reception in the Officers Mess for the Civic Party, Members of the Air Council and other Honoured Guests. The sick Commander of the RAF Regiment was the President of the Officers Mess Committee and being Vice President it fell to me to take the Chair at the Formal Dinner. The 3 years served at RAF Uxbridge were very rewarding. My next duty was at the Ministry of Defence in London was with the Personnel Department, in the section that dealt with the forecasting of the number of Recruits that would be required in the various Trades in the coming years based on the expected wastage and the Defence Budget. As the Defence requirements changed from year to year, the task was not an exact science and the Tool of the Trade needed to be a Crystal Ball. It was interesting work and it gave an insight into how a Government Department worked. It also involved on occasions to be the Duty MOD Personnel Staff Officer overnight and at weekends and being one of the Bowler Hat and Umbrella Brigade commuting up to London from Oxhey each working day from where I had bought a house. At RAF Swinderby, I had done some Flying Training and Instructing during the War in 1943 Now age 45, my RAF service was ending. It was obvious that there would be no more promotion from Squadron Leader to Wing Commander as I had been told that I would not be able to stay on until age 55 so I decided to take Retirement, thinking of the future. On the 6th May 1968, with much regret, I left the Royal Air Force. I was very sad to leave what had been my chosen career. It had filled my boyhood dreams. I obtained a position in the National Provincial Bank in Lincoln – Flying a safer and more manageable Desk. I was thrilled to read the account of Operation Chessboard. My grandfather was the Wireless Operator/Air Gunner on KM-L for that trip, with F/O Barnes. I have his logbook and it was fantastic to follow the account of the trip which Tallies with my Grandfather’s Log-book fully.